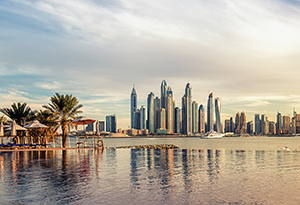 On March 11, ASTM International announced it will launch its first international chapter in the United Arab Emirates. The announcement followed a planning meeting held between key industry, academic and government leaders at the Abu Dhabi Quality and Conformity Council. The Quality and Conformity Council uses ASTM International standards and helped host the ASTM International board of directors meeting in October 2016. The group appointed a nominating committee to identify chapter officers and reviewed draft bylaws. Potential chapter goals also were discussed, including strengthening the involvement of UAE and other Gulf region technical experts in standards-related activities, sharing information regarding the UAE's societal needs and emerging trends so ASTM International can develop solutions, and providing a direct link between the UAE and ASTM International.